Good Hound Dog Training is proud to offer you Ladner and Tsawwassen’s only store front dog daycare and training facility! 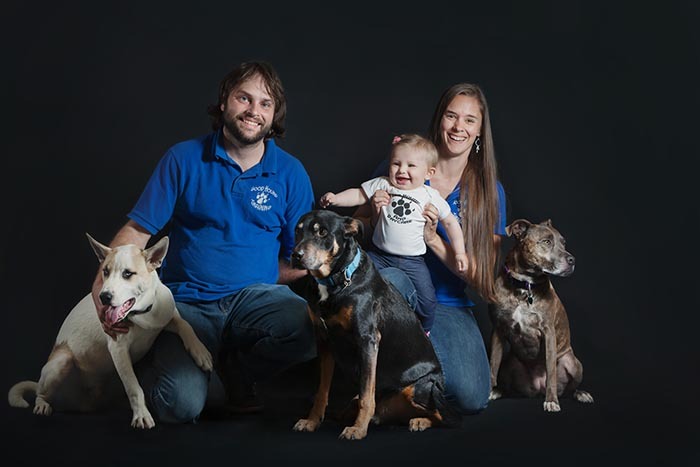 In 2014, married couple Andrew and Mallory Richards began fostering and rehabilitating dogs. Their mutual love and respect for dogs led them into wanting to do more in their efforts to help others help their own dogs. Andrew enrolled in the Animal Behavior College and soon after Good Hound Training was born. 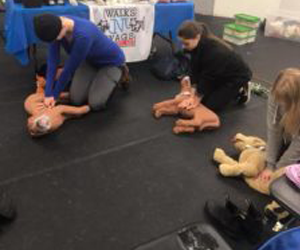 It wasn’t long until this wasn’t enough as they wanted to offer more and so Mallory became a Walks n Wags Pet First Aid instructor in 2016. 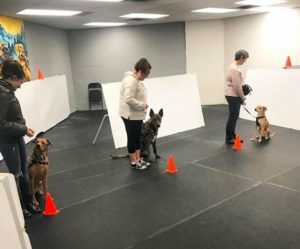 Good Hound Training offers a variety of group classes and personalized private sessions and packages. Goodhound is proudly offering you Ladner and Tsawwassen’s only store front dog daycare and training facility! Learn hands on with Mallory Richards about how you can treat pet injuries and most importantly how to prevent them! Have any questions or want to book? We would love to talk to you! Call us during regular business hours at 604-940-0324or fill out the form and we will get back to you right away! *Call or email us to book your own private tour of our facility. Our finalist video! We are beyond grateful for our nomination, our client references, and being selected as a finalist for the Delta Chamber of Commerce Rising Star Award. Their videographer, Tristan, did an amazing job on our video. Check it out! I have nothing but good things to say about this doggy daycare!  Staff are amazing and friendly, my dog loves it there, prices are reasonable and the facility is great and very clean. I love that they instagram story the day so you know what your pup is up to all day. That is the best part dropping him off and knowing he isn’t ignored all day they are constantly playing with the dogs and taking them out on walks as well. I love it here and have and will continue to recommend it to everyone I know! I am so happy we decided to go with good hound doggy daycare! The application process was easy, they are super quick to answer emails and I feel very comfortable leaving my dog in their hands (which is very important). My favourite part is picking up my dog after a day of socializing and getting the run down of her behaviour and the news things she has learned. I appreciate how welcoming and friendly the staff is as well! Positive Reinforcement Training is force free, pain free and intimidation free. This means no choke chains, prong collars, shock collars, yelling, hitting or any other forms of punishment. Andrew is a certified dog trainer through the Animal Behaviour College based in California and was mentored under the knowledgeable Shelagh Begg of Dizine Canine. 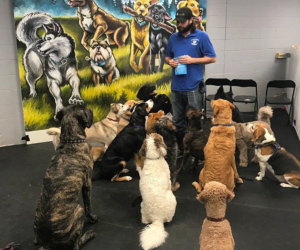 Andrew is also certified in Pet First Aid through Walks n Wags and a proud member of CAPPDT (Canadian Association of Professional Pet Dog Trainers) and APDT (Association of Professional Dog Trainers). Andrew practices and believes in Positive Reinforcement Training. Positive Reinforcement Training is science based, force free and makes use of treats, praise and the clicker to mark and reward behavior. While Andrew trains dogs of all ages and stages of training, he specializes in behavior modification in reactive and fearful dogs. *And by “differently”, we mean better!